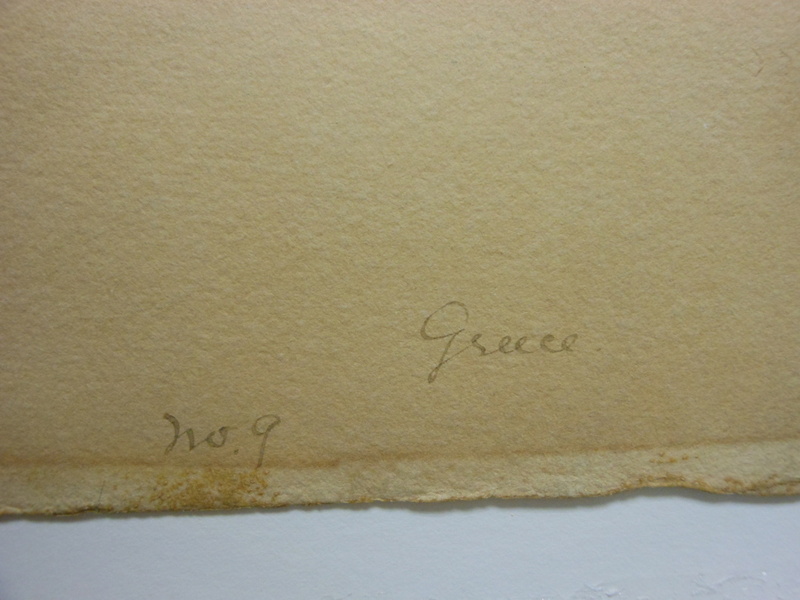 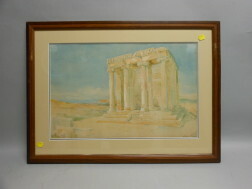 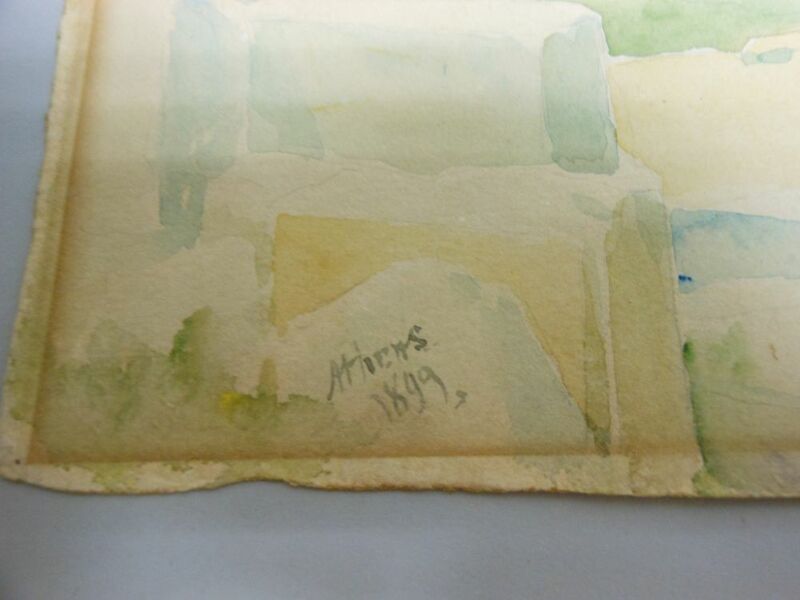 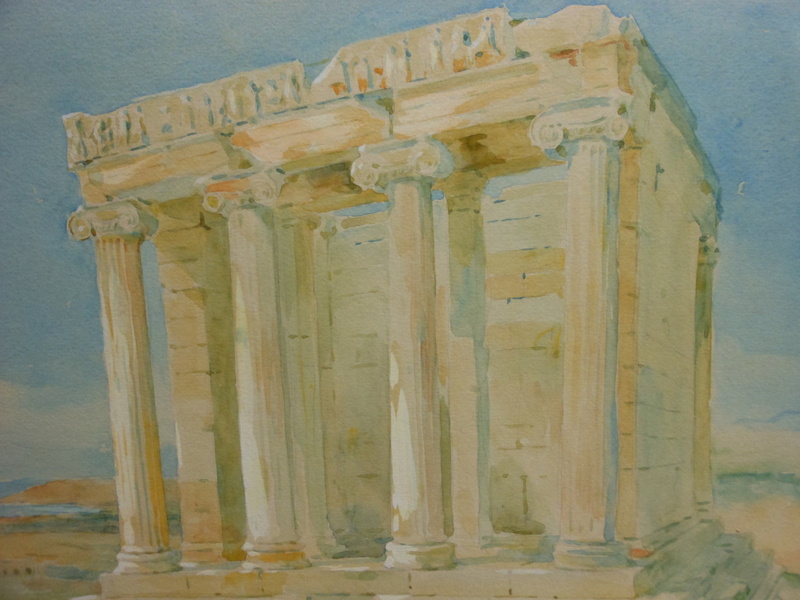 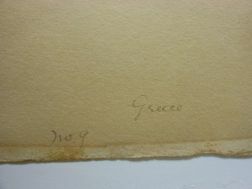 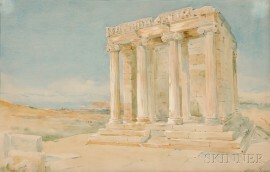 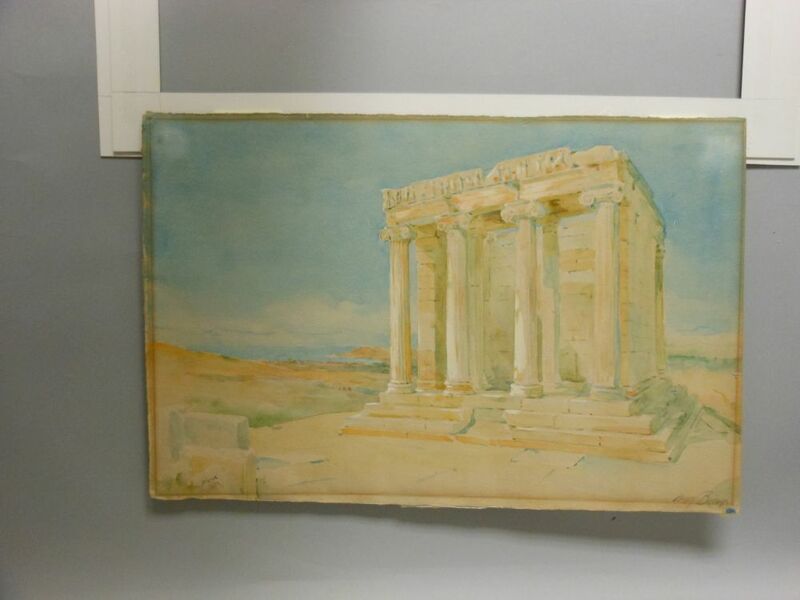 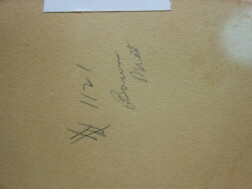 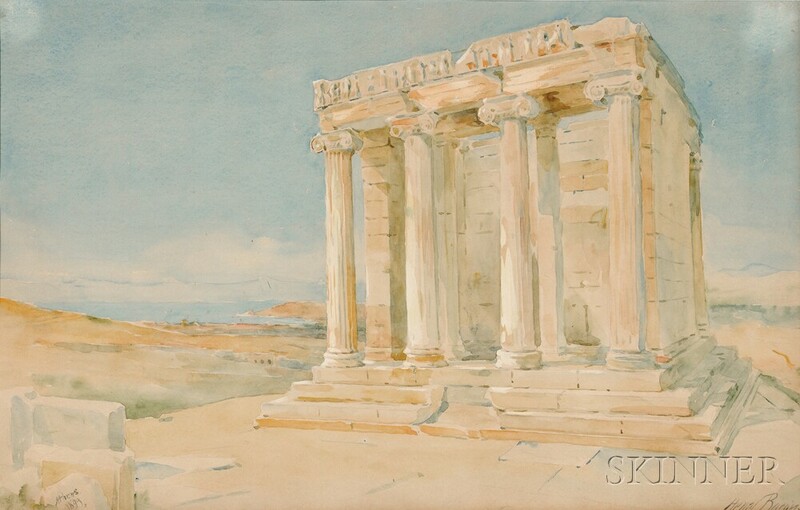 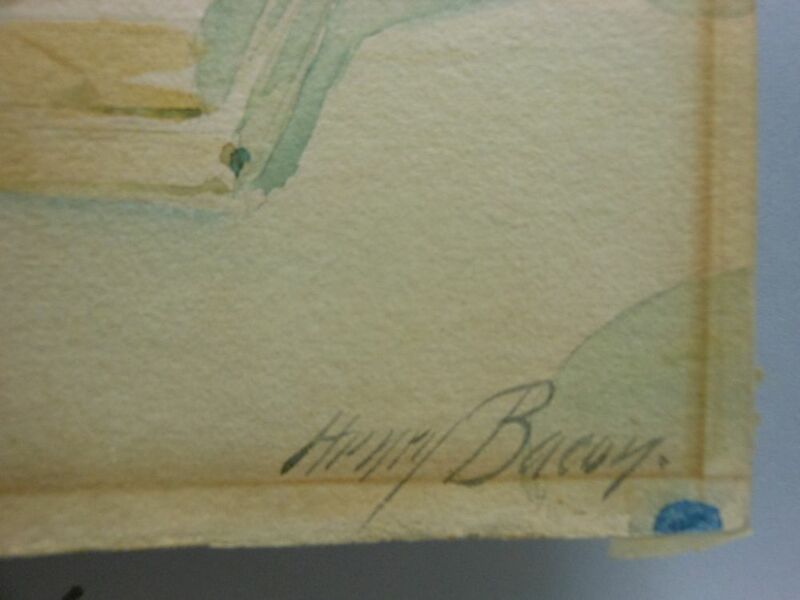 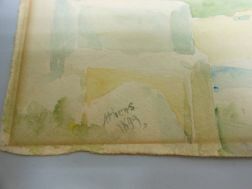 Signed "Henry Bacon" l.r., inscribed and dated "...1899" l.l., inscribed "Temple of Nike, Athens Memorial Exhibition No. 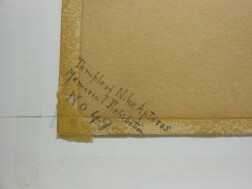 49." on the reverse. 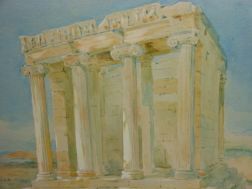 Watercolor on paper, 13 x 20 in. 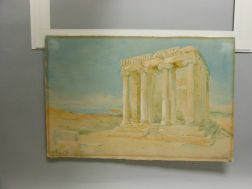 (33.0 x 50.8 cm), framed. 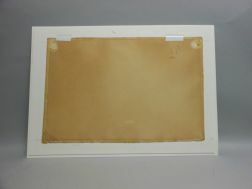 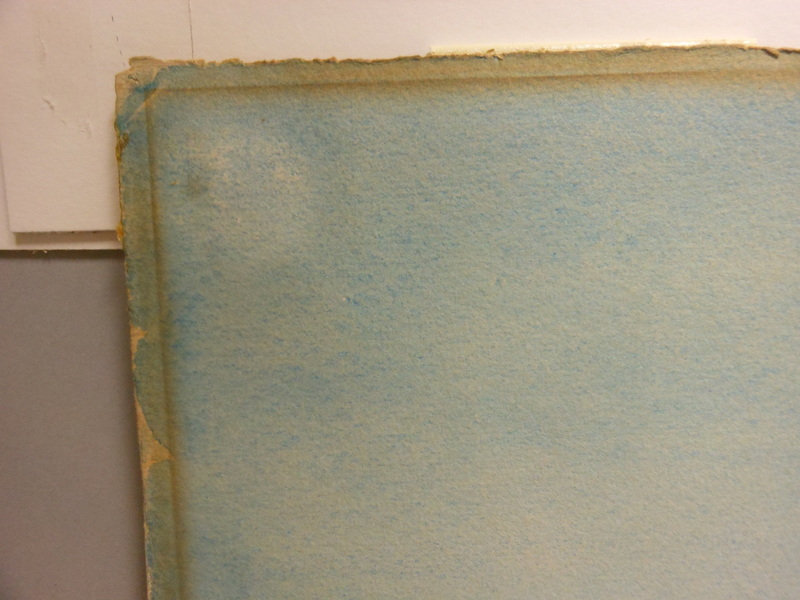 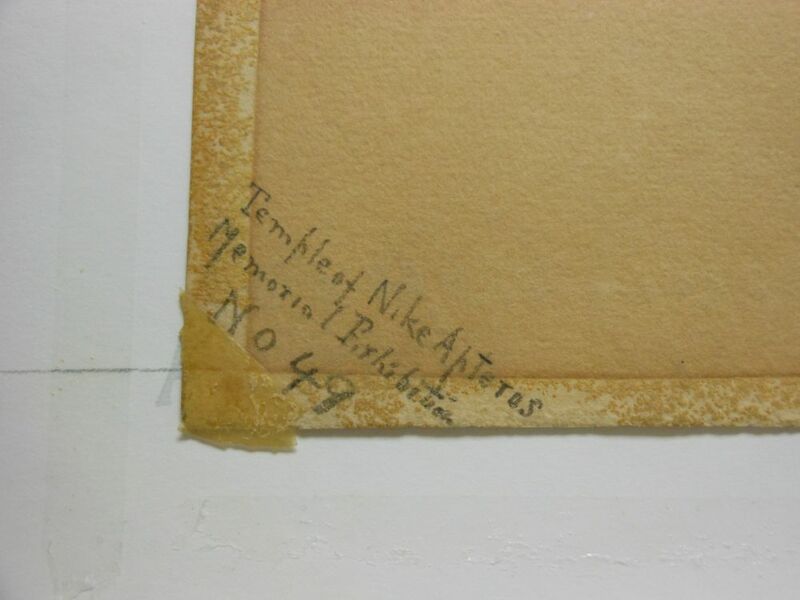 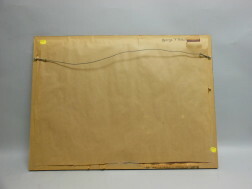 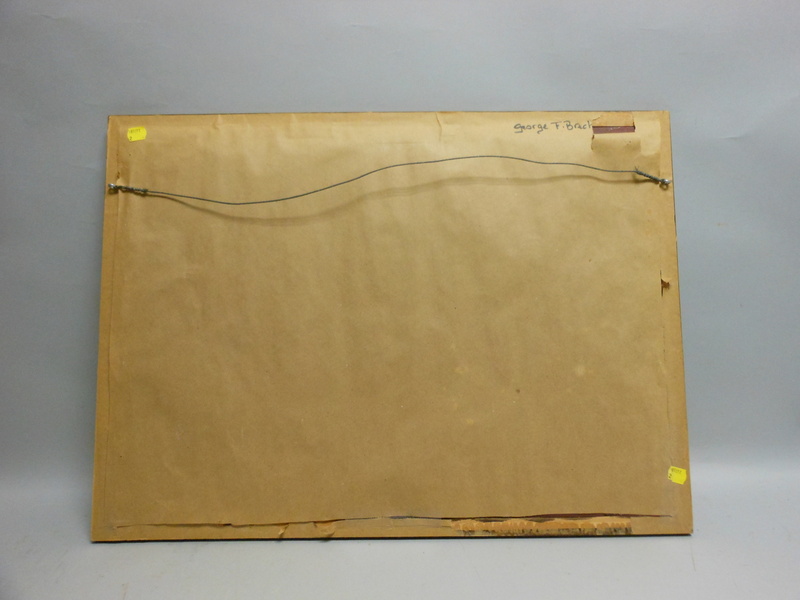 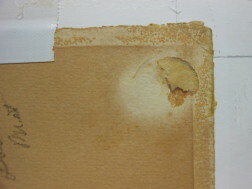 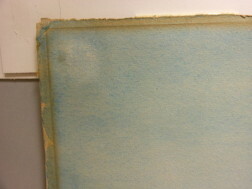 Condition: Mat burn, toning, adhesive remnants along the edges. 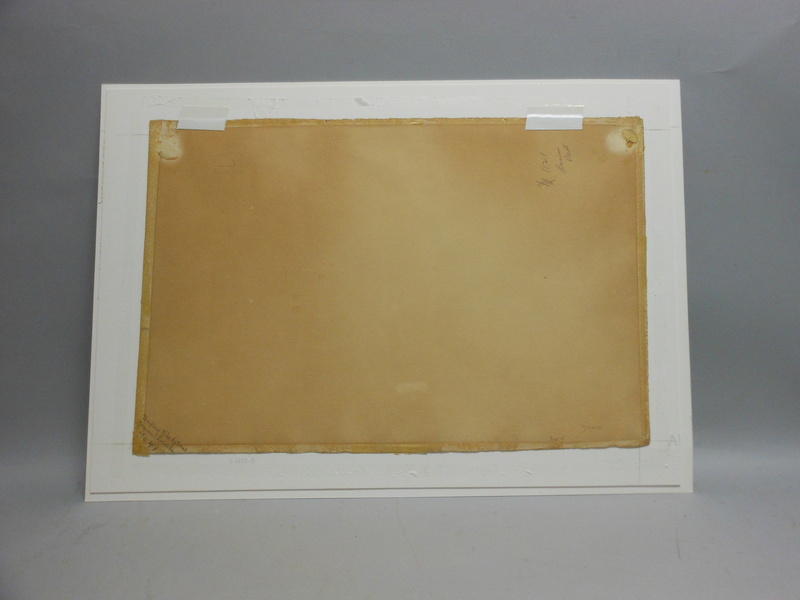 Hinged top right and left to the mat. 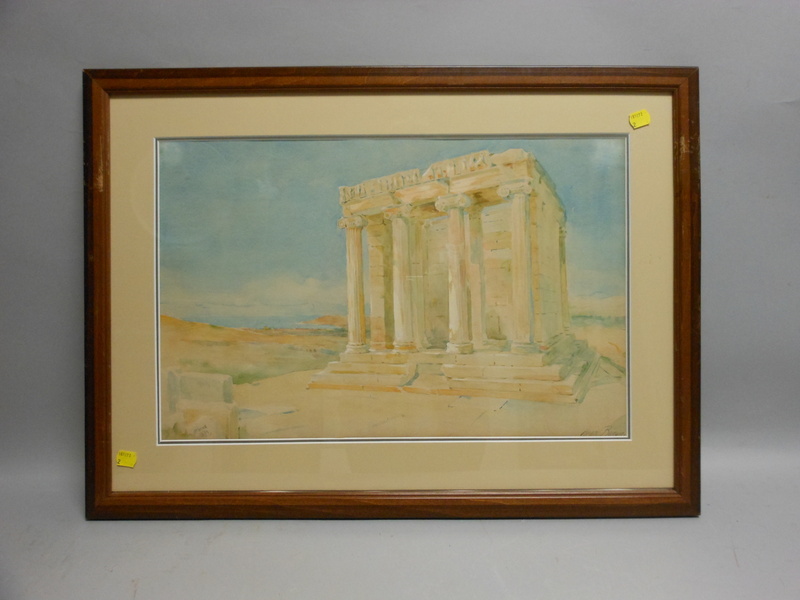 Frame dimensions: 19 x 26 in.